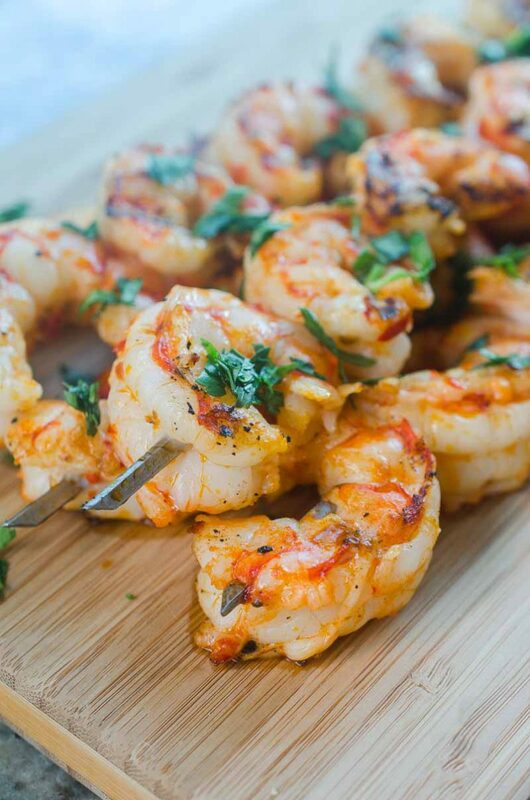 Spicy Grilled Shrimp is the perfect recipe to add a little kick to your next BBQ. 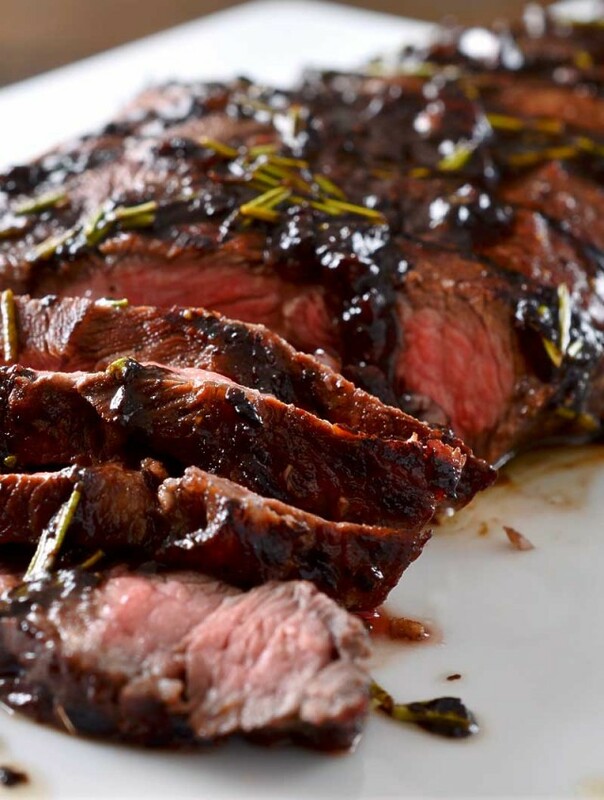 With only 3 ingredients and less than 10 minutes on the grill, they are ready in a flash too! Guys. It has been hot here the last couple of weeks. Like, I don’t want to even think about turning on my stove or oven, hot. That means that we have been enjoying lots of salads and grilled meals. Not outside thought. Because hot. When it comes to grilling of course burgers, hot dogs and chicken get a lot of love. But you know what? 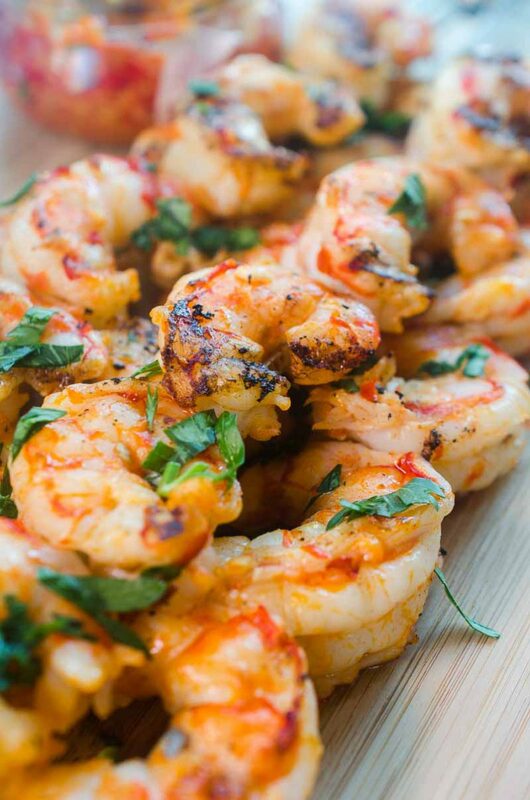 Grilled shrimp is pretty amazing too. And it doesn’t take that long to cook. Which, when you are standing in front of a 400 degree grill on a 90 degree day, is kind of important. What do the different count sizes of shrimp mean? When I first started buying shrimp for myself, I was a little confused about the different numbers that I would see. There would be numbers like 10 – 15 count, 21-30 count, 51-60 count etc. What that means is that there are 10 – 15 ( or 21 -30 or 51-60) shrimp per pound. The lower the number the bigger the shrimp. To make it easier though, some shrimp is labeled small, medium, large and jumbo. When I make a shrimp pasta or shrimp tacos I go for the smaller size. Usually 51 – 60 count. However, for this Spicy Grilled Shrimp, I wanted something a little bigger and decided to use jumbo prawns which usually have 10 – 15 shrimps per pound. You may also be wondering if you need to peel grilled shrimp. I prefer to peel shrimp before grilling because it makes things a little less messy when it comes to eating. It’s also easier for little ones. Which seasoning is good on grilled shrimp? If you have been hanging around the blog for any length of time, it’s pretty obvious that I am a spicy food fan. I mean, I do have a recipe for Habanero Hot Sauce with TEN habaneros in it after all. 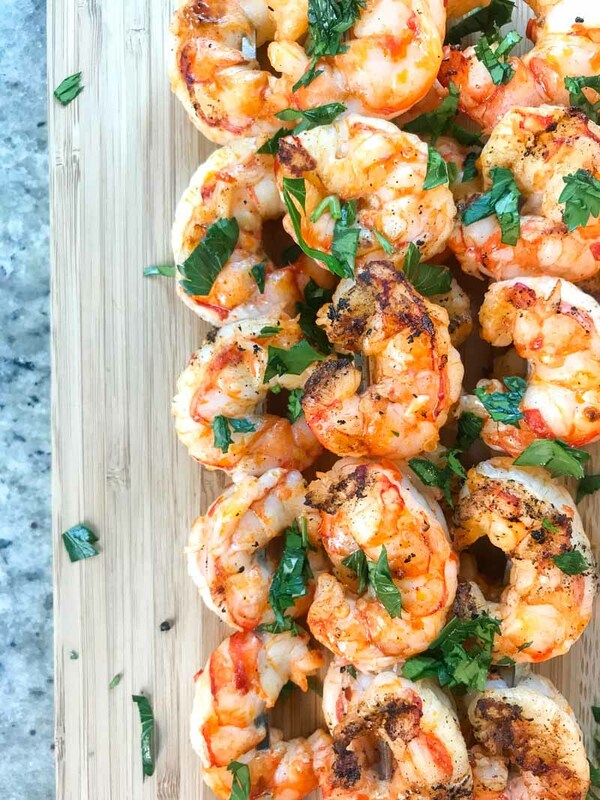 When it comes to grilled shrimp I love adding a little kick. 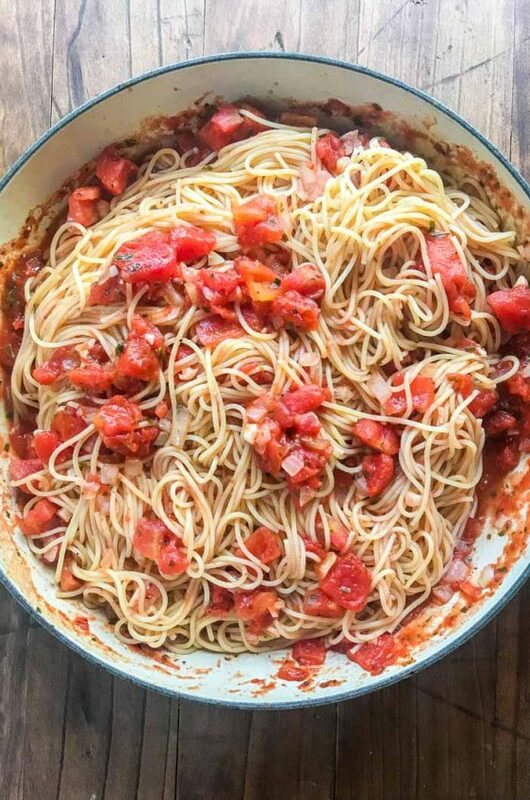 For this recipe, I use Calabrian Chile Paste. You can find calabrian chile paste online, in well stocked grocery stores, or if you’re lucky and have an Italian Deli near you, you can find it there. If none of those are an option, you could try to make your own. I like Calabrian chili paste because it’s spicy, but not overpowering. And it works great on the spicy grilled shrimp because the shrimp itself is a little sweet. This is the best part. Shrimp, depending on the size, on the grill takes virtually no time at all. Smaller shrimp will take 3 – 5 minutes with the larger shrimp taking usually around 5 – 7 minutes. Shrimp are done once the outside is pink and the inside is opaque. This spicy grilled shrimp is great on its own or with some garlic rice. Combine shrimp, olive oil and chili paste together in a bowl. Mix to ensure all shrimp is coated. Preheat grill to 400 degrees. Grill shrimp for 5 - 7 minutes or until cooked through and opaque. Turn once, halfway through. Season to taste with salt. Serve immediately. Sounds like a yummy flavor! My husband loves the spice! I love how simple this is to make! 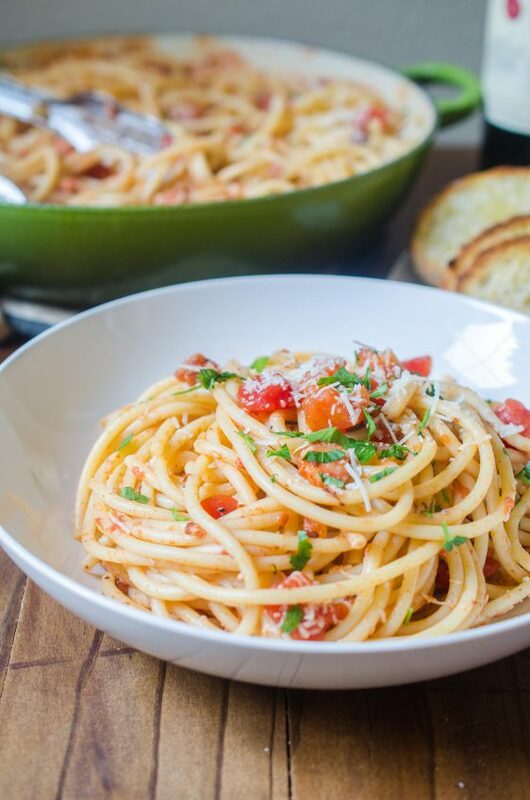 Perfect for those days you want a yummy dinner, but don’t want it to take all day! Get in my belly! This looks so good. These shrimp look and sound so good! I have to grill them up! 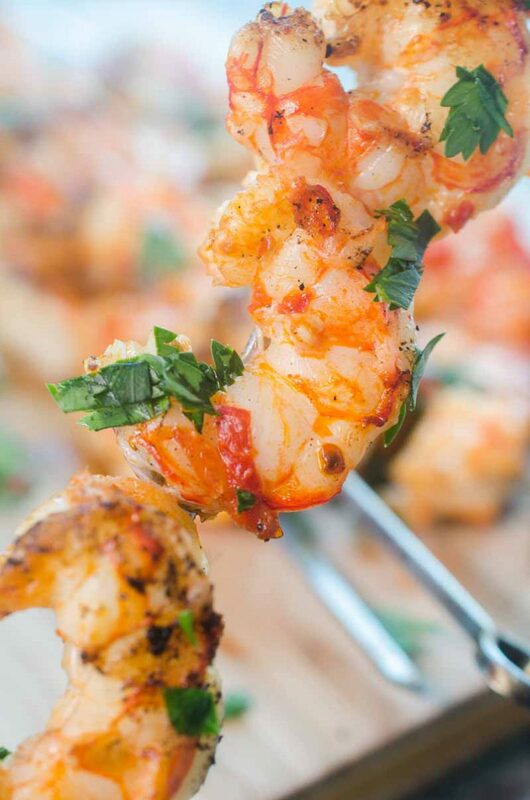 This shrimp looks so good! I love a good spice in my meal! Looks like I just found my dinner recipe! This looks really good! 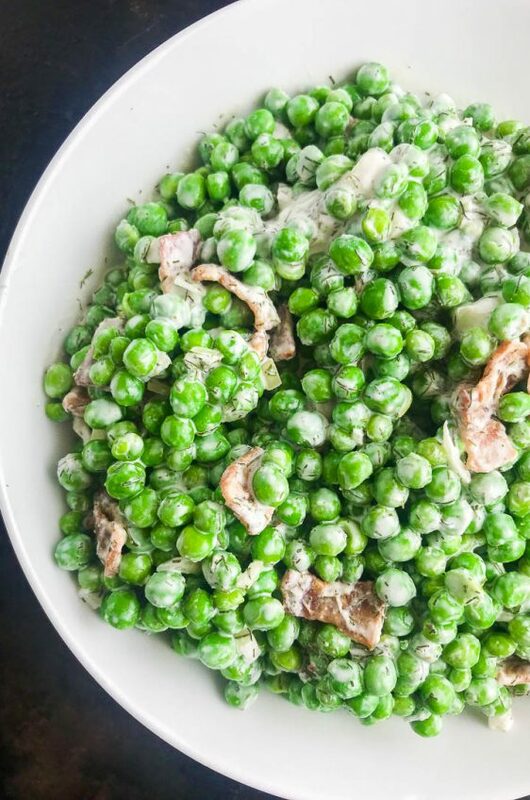 Would love to try it for our weekend grilling! I love a good shrimp dish! Shrimp is a perfect meal for summer! Wow this looks amazing! 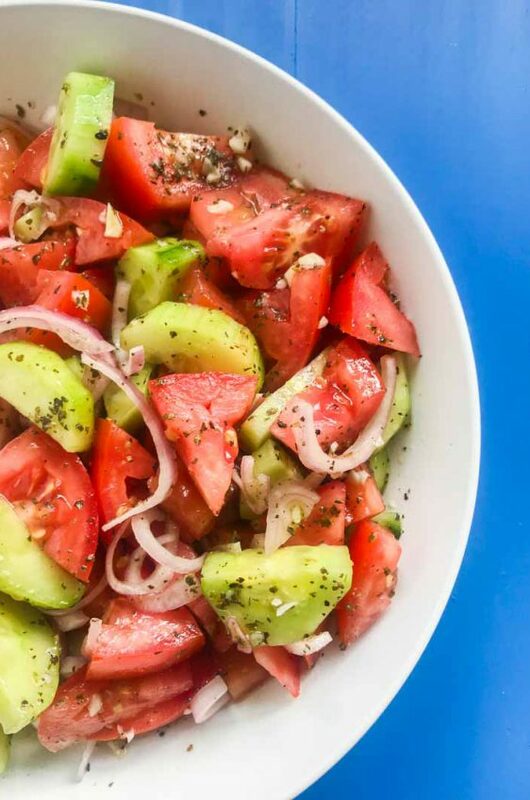 So simple and delicious all at the same time! 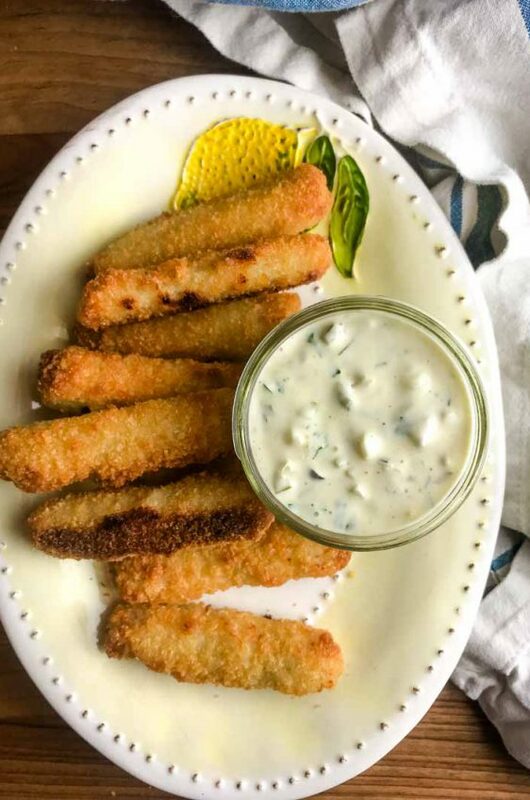 I’m all over this easy recipe! 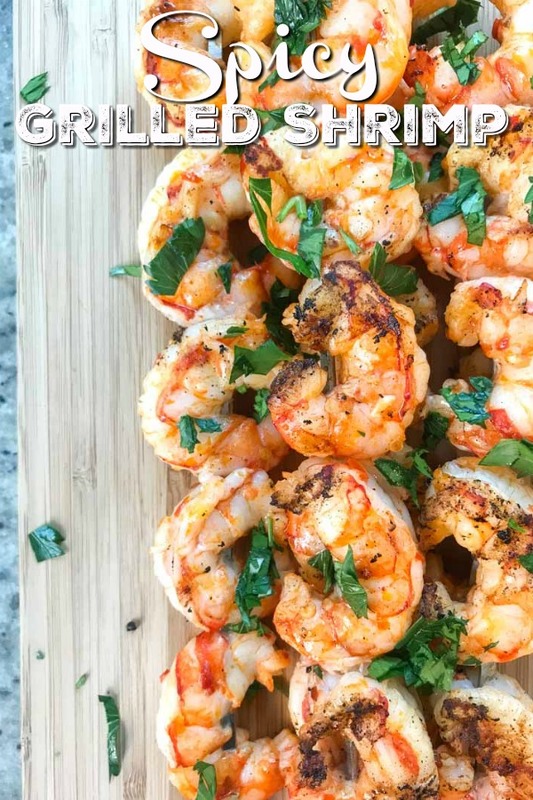 Simple, fast, grilled and shrimp; what’s not to love?!! !